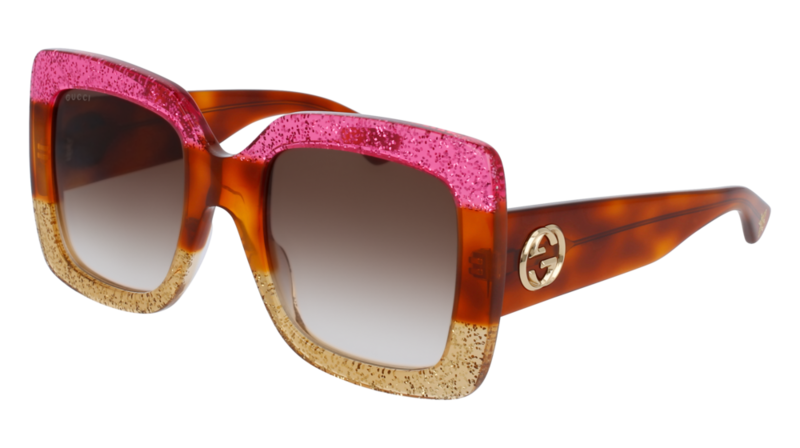 Big squared shape with a «diva» feeling, characterized by a sophisticated and innovative lamination treatment on the acetate front. Big metal GG interlocking applied on temples to re-call the vintage feeling and hot print bee on the end tip to add a trendy twist to the product. Sophisticated color palette, with glitter tones mixed with refined havanas. 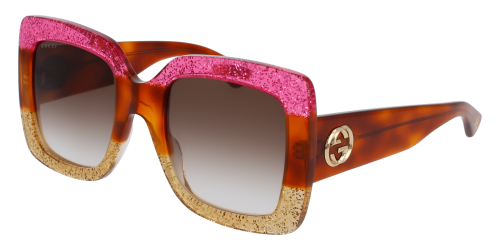 DESCRIPTION Big squared shape with a «diva» feeling, characterized by a sophisticated and innovative lamination treatment on the acetate front. Big metal GG interlocking applied on temples to re-call the vintage feeling and hot print bee on the end tip to add a trendy twist to the product. Sophisticated color palette, with glitter tones mixed with refined havanas.